Versatile bamboo tray folds up for easy storage while not in use as a side table or serving tray. 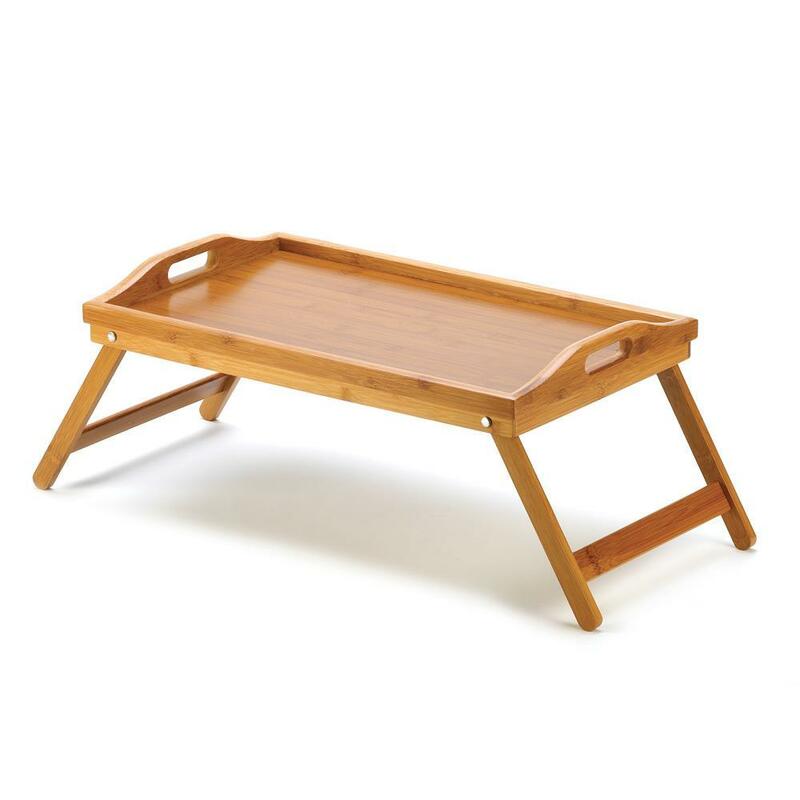 Designed with comfortable handles and raised edges to prevent spillage. Weight 2.6 lbs. Folded: 19 3/4" x 11 7/8" x 2 1/2" high; opened: 25 1/8" x 11 3/4" x 9 1/4" high. Bamboo. UPC: 849179012878.